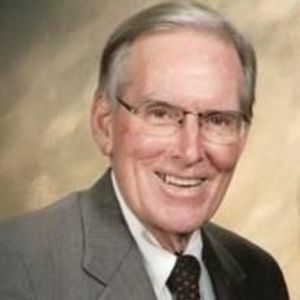 Charles Eugene Branscomb, 90, loving husband, father and grandfather died Saturday, December 16, 2017, of complications from a gallbladder infection. Charles was born in Carroll County, Virginia, in 1927. He is survived by two daughters Debbie Branscomb (Rick Johnson) of Bethesda, MD, and Nancy Branscomb of Holly Springs, NC, son Chuck Branscomb (Tia) of Raleigh, NC, and 4 grandchildren: Kate Johnson of San Francisco, CA, Eric Johnson of Palo Alto, CA, Andy Branscomb (Elena Fowler) of San Francisco, CA, and Jackie Branscomb (fianc� Kyle Danner) of Greenville, SC, his sister Betty Vernon of Winston-Salem, NC, his aunt Delta Bolen of Hillsville, VA, and his dear friend Ruth Randa of Lancaster, PA, and a large extended family. He was preceded in death by his beloved wife of 60 years, Opal Branscomb, parents Otto and Blanche Branscomb of Winston-Salem, NC, sister Carol Gore of Fayetteville, NC, and brothers James Branscomb, of Troutman, NC, and Ralph Branscomb of Winston-Salem, NC. He was a graduate of Mineral Springs High School in Forsyth County, NC, 1943. He then entered NC State to study Mechanical Engineering, which was interrupted when he was drafted into the Army and sent to Korea from 1946-1947. This had a profound effect on his life and career since he was assigned to work on the IBM machines in the 107th Machine Records Unit. While driving a truck on a cantaloupe buying trip for his father's Winston-Salem produce company, he met his wife of 60 years, Opal, in southern Georgia. After returning to NC State, he went on to receive his BS '49 and MS '50 in Mechanical Engineering. After marrying Opal in 1949 and receiving his MS, they left for Endicott, NY, to begin his 36-year career with IBM. During his time with IBM, he was awarded six patents and an additional six published inventions. One patent earned an Outstanding Invention Award in 1962. In 1957, he was named the program manager of the IBM 1401, which became the first computer system in history to sell in the thousands. The Computer History Museum in Mountain View, CA, has recognized that the 1401 system was a pivotal product that revolutionized the business computing industry. The museum has restored two fully working 1401 systems which reside in a dedicated, functioning demonstration room, where they fascinate visitors. In 1966, he was named President of IBM's Systems Development Division, responsible for all worldwide computer systems development (hardware and software) including completing the development of the IBM System/360. In 1971, he was named to the IBM Corporate Technical Committee and then, in 1973, became IBM Director of Engineering, Programming and Technology. In 1974, he joined General Systems Division (GSD) as Vice President of Development and Manufacturing where he led the re-establishment of IBM's leadership in small and medium systems. They developed the Series 1, System/32, 34, 36 and the very successful System/38, which later evolved into the AS/400. Recognizing his accomplishments, in 1978 he was honored as an outstanding Engineering Alumnus of NC State University, and in that same year he and Opal cofounded the Parents Association at NC State. Under his leadership at GSD, the IBM PC was born in a hastily converted conference room in the General Systems Division HQ building in Atlanta, which started IBM on its path into the personal computer business. He retired in 1986 as an IBM Corporate Vice President, and he continued consulting full-time with IBM for 3 additional years. After his retirement, he spent more than a dozen years volunteering at North Carolina State University with two adjunct appointments in its College of Engineering. He served as the President of the Engineering Foundation, on the board of the Alumni Association, as a member of the NCSU Foundation, and on the Board of Visitors of the Babcock School of Management at Wake Forest University. He led the effort to gain funding for the Engineering Graduate Research Center (now the Larry K. Monteith Research Center) by establishing the College of Engineering Dean's Cabinet to build statewide support. He co-founded the Literacy Systems Center at NC State. Because he believed "engineers are the very best problem solvers in society", he was a strong supporter of the Ben Franklin Scholars program at NC State, and sponsors two of their scholarships. In 1991, he was awarded the Watauga Medal, NC State's highest award. He loved his family, his faith, NC State, golf, and the national parks of the American southwest. He greatly enjoyed the chance to spend time with all of his children and grandchildren on yearly trips to Hilton Head. He truly enjoyed Glenaire where he resided for the last four years and participated in their golf and bridge tournaments, quiz bowl, and the emerging issues forum. He was a long-time, dedicated, faithful member of Holly Springs United Methodist Church. The family would like to thank the staff and residents of Glenaire for their love and concern. He greatly enjoyed living there and felt so welcomed by the entire community. Special thanks go to the nurses and doctors of the MSICU at Rex Hospital for their outstanding care and kindness. Honoring Chuck's wishes, in lieu of flowers, memorials may be made to the Salvation Army of Wake County, P.O. Box 27584, Raleigh, NC, 27611 (https://www.salvationarmycarolinas.org/wakecounty/home), or Holly Springs United Methodist Church Building Fund, P.O. Box 68, Holly Springs, NC, 27540 (http://hsumc.umcchurches.org/give). Funeral services will be at 10:00 am, Wednesday, December 20, at Brown-Wynne Funeral Home at 200 SE Maynard Road in Cary, NC.